Belly Bliss is Las Vegas’ premier prenatal wellness spa in partnership with Desert Perinatal Associates. Expecting mothers can find an array of services to experience ultimate relaxation. Guests can enjoy a soothing massage, purchase merchandise specifically catered to them, or take educational classes designed to educate new mothers. 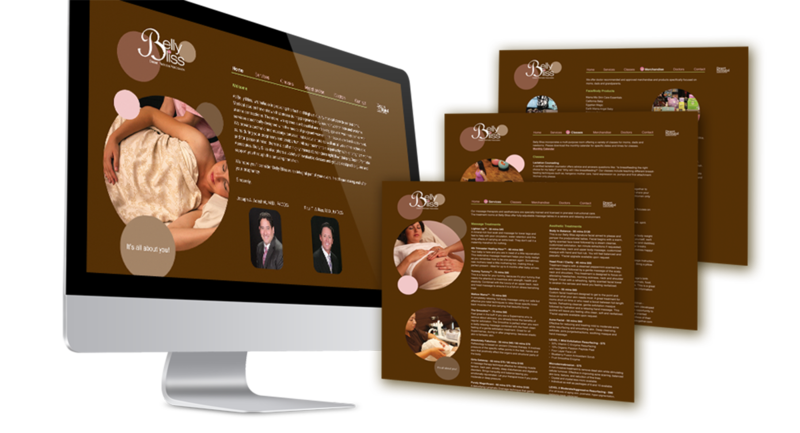 We were very proud to partner with Belly Bliss in designing their website, and provide the community with these unmet, very important needs. By creating a website that is user-friendly and aesthetically pleasing, we were ultimately able to assist the company in gaining new customers.